I wish that everything in life went perfectly. Instead, often I should say, there are days, weeks or even months+ where life seems to have a 'will' of its own. Turbulent storms that cause your outlook to darken so much that you can't see properly anymore. It isn't always for lack of trying. I have known many devout Christians, who have worked tirelessly for the Lord, yet their lives have faced many storms of various sorts. Ones that I have never, or would never hope to, come up against in this lifetime. The reality is that storms come to all of us. 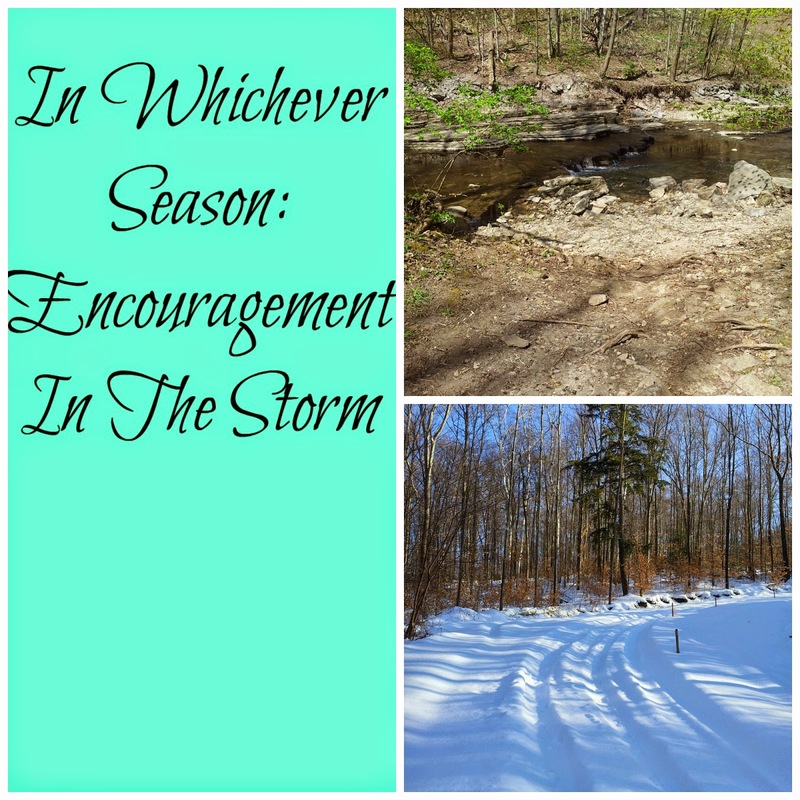 Whether we would like to 'wish/pray' them away, and although some may be avoidable by altering our behaviour, and others may be minimized by pressing through, the Word does guarantee tough & challenging seasons for the righteous & the unrighteous. For all, regardless of who you are. Notice in the above passage, that the storm came to both homes? Both of them experienced the torrents, floodwaters, and the winds beating down. BOTH had a season of, what I can only imagine, would be unprecedented & unforeseen challenges to their original life plans. The passage doesn't give us answers why. Although many biblical passages indicate that this is simply the result of a fallen & broken world, there are many MORE biblical passages giving us personal comfort, than there are trite explain-away-everything shallow arguments for the ongoing suffering & pain in our world. These are just a few that I know personally or through friends. Honestly, I could make this list of heart wrenching circumstances that people wake up to endless, and it would become downright depressing. I myself have experienced my own deeply wounding life circumstances, that have left my soul bleeding, & searching out answers. Asking those I look to for spiritual counsel the most asked question on the planet, "WHY?" That the storm left & the home didn't collapse I see as a miracle. I have personally found comfort in His Words; whenever read they can become 'building on the foundation' time for each one of us. Wherever you are today, please know that you are not alone. God sees your pain. He sees every tear that you shed. If you are personally still standing after life circumstances have beaten you down, we only have our Lord Jesus to thank for that. I would encourage you to cry out to the One who loves you. The One who is there waiting for you to run to Him with open arms. "Notice in the above passage, that the storm came to both homes?" I hadn't really ever thought of that before - the storm came to both. And as scripture tells us, if we are prepared, even if He returns as a thief in the night we will not be found surprised. BTW, I chose your blog from the blog share thread in the Inspired Blogging thread. Thank you for this post - just what I needed at the moment. And also a nudge that my problems aren't that terrible compared to others. Thanks for this encouraging message Rachael. I think it is no coincidence that I just posted the story of giving birth to a child with a grave prognosis. The Lord allowed the storm and He was with us in the storm, giving us His comfort, grace, truth, love, and strength. Thank you for this! It's very helpful.